Introducing a fun and creative way to use number cards 1-20! 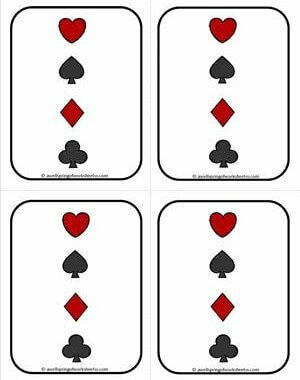 In a large playing card format, these cards are 1/4th of a page in size, perfect for little hands, use in pocket charts, and as flash cards. 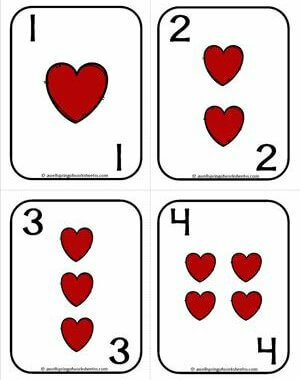 There are two sets of cards included. One set has the numbers in the middle and the suits on the outside corners, and the other has the suits in the middle with the numbers in the outside corners. Have fun with these cards by using them for counting and sequencing activities, math cards games like War or a number version of Old Maid or Go Fish, or comparing numbers activities. Your imagination will come up with endless possibilities! Your kids are sure to enjoy them. 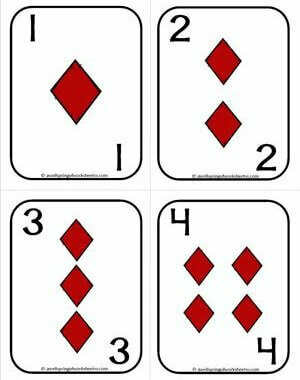 Please go to this page to see more kindergarten number worksheets. 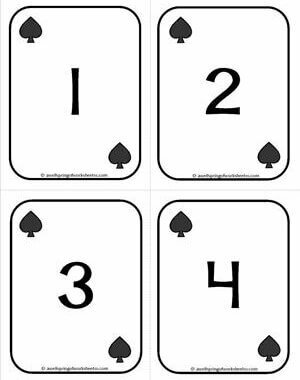 These number cards are a great addition to any math center! The numbers are in the center with the suits in the outer corners. 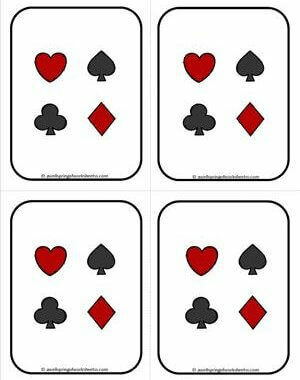 They're great for math card games, sequencing, counting, and more! Here's a cool back design for your set of playing cards. It has a rounded rectangle border with an image of each suit in a square format. 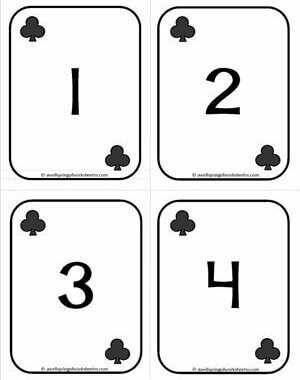 Simply print the cards and copy these on the backs. Here's backing design option #2. 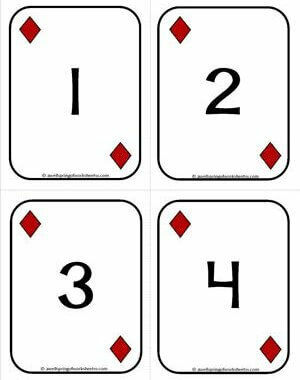 It also has a rounded rectangle frame, but the four suit images are in a vertical line up. Print on the back of the playing cards and you'll have a sharp looking set!